One thing led to another and before you knew it, the two were spending more time together. The older friend taught the younger boy about fishing and how to repair a bike. 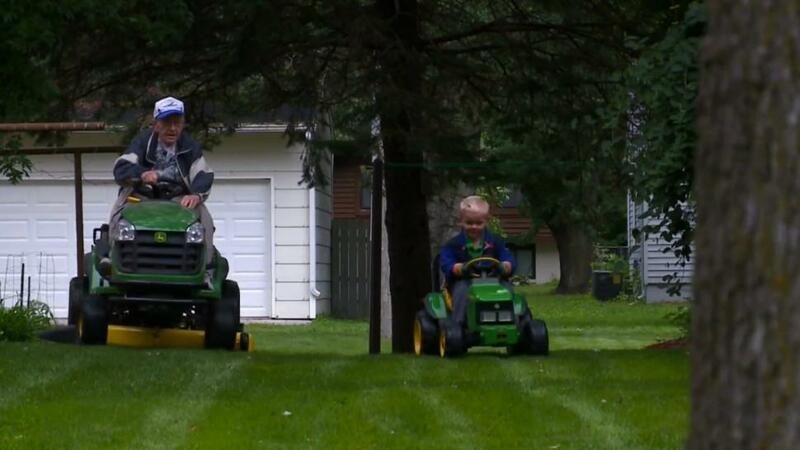 They tossed a baseball back and forth and would even drive side by side in matching John Deere tractors. Of course, Emmett”s was appropriately a toy sized version. Emmett’s mother, Anyka, says not even a cold winter storm could separate the two from hanging out: “I was in the kitchen and I heard the snow blower going, sounds like Erling is getting real close to the house. I opened the window and he was snow blowing a path from his back door to our back door.” The mom is grateful for how much her son has learned from their neighbor. So here’s the hard part. She and her growing family need a larger house and plan to move next year. It’s an emotional move to contemplate. And it turns out Erling and his wife will also be relocating to a home for seniors. 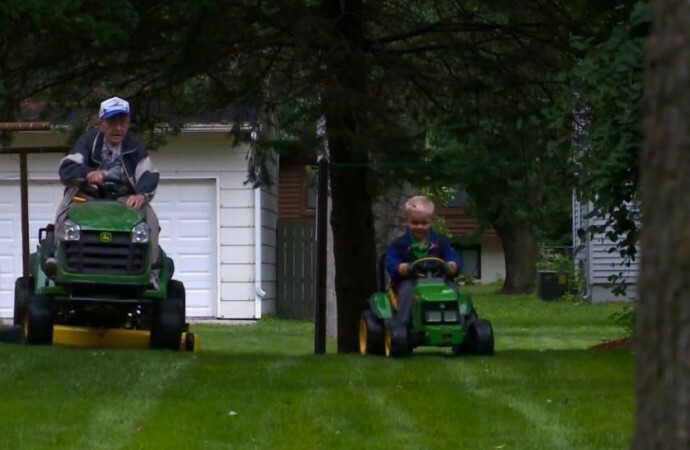 But the special bond between Erling and Emmett is a reminder that there are no age limitations on friendship. Once the connection is made, not even a change of location can take away the lessons we learn from each other and the caring that always resides in our hearts.